Willem Jan is Chief Leadership Coach at HFSC with over 2650 hours of coaching experience. To this he brought 25 years experience as a senior executive with particular expertise in General Management, Marketing, Sales and Services. He rose through the ranks of Hewlett-Packard, Agilent Technologies, Philips and Cardinal Health in the healthcare – and information technology sector. As part of his local, regional and global responsibilities he has lived in the Netherlands, the USA, South Africa, Germany and Switzerland and has travelled to many more countries. To complement his significant experience of leading, managing and coaching people, Willem Jan graduated from the Leadership Coaching Certificate program at Georgetown University in April 2008; he is a Professional Certified Coach (PCC) by the International Coach Federation (ICF) since 2012 and a certified coach by Marshall Goldsmith Stakeholder Centered Coaching (2015). 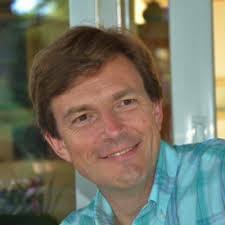 Willem Jan has a Doctorate of Business Administration (2015) from Grenoble Ecole de Management and his thesis is titled “Effectiveness of Leadership Coaching – An Integrated Evaluation Framework”. He holds a certification in The Leadership Circle Profile™, both an individual and organisational (team) 360-degree feedback tool, a certification in Adult Development and qualification for the WorkPlace Big Five Profile personality instrument. Willem Jan’s passion is to work with individuals and teams in organisations to deliver results through a strong emphasis on the human dimension. He has coached leaders from all continents across numerous industries. He is an Executive Coach in the High Performance Leadership Program (HPL), Advanced High Performance Leadership Program (AHPL) and several Partnership Programs at IMD, Lausanne. He has successfully facilitated numerous Leadership Development programs as well as customized programs in the areas of Leadership, Coaching, Change, Strategy Implementation, Teamwork and Sales & Marketing, and run Change Management consulting engagements in which he has utilized his coaching skills and experience across many cultures. He has also worked with leaders and managers in transition in search of their next role. He has founded the Youth Institute for Excellence in Leadership Development (YIELD) in 2015 focusing on accelerating the development of leadership skills of young adults. A typical client for coaching by Willem Jan is a current Executive, a direct report to an Executive or someone who has been identified as a High Potential who want to become a better leader, or a team made up of the before-mentioned people who want to get better at working together. Willem Jan works in English, French, German and Dutch.